If there is anything that makes Spain a heterogeneous country is the variety of historical traditions that forms each of its regions. One of the biggest attractions is the food that, along with the landscape and climate, is one of the aspects most demanded by visitors came from abroad, both for the variety and the quality of its products. If there is a favorable area for the production of excellent raw materials for the kitchen thanks to the humidity of their land and abundant rainfall it is the Green Spain, which includes Galicia, Asturias, Cantabria and the Basque Country. These four communities have many differences that cater to local products and popular culture of each, but have a common denominator: the quality present in all phases of the cooking process, since the product is extracted until the dish is served at the table. Galician cooking is famous both for the proper use of its natural resources and for its seafood, among which barnacles, cockles, scallops, clams and octopus are the most important products, which can be enjoyed in many places, especially in coastal towns as Mugardos, O Grove, or Noia. 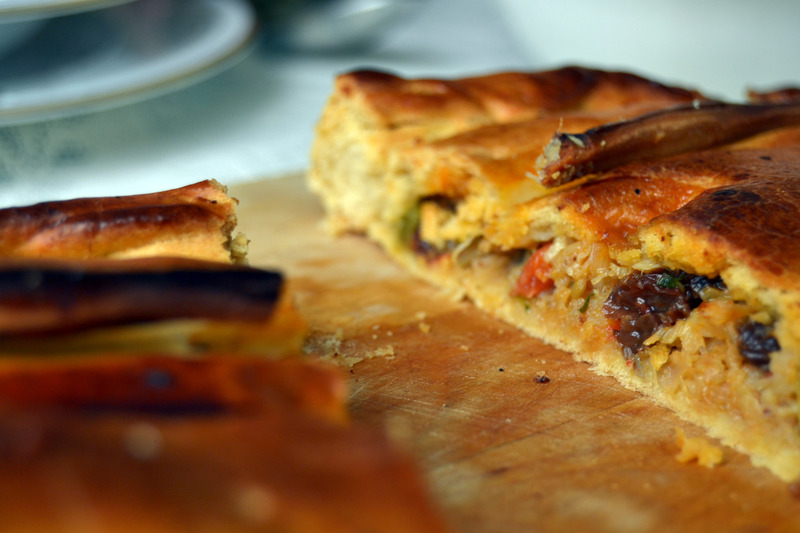 In the interior of Galicia the most typical dishes are empanada, and Galician stew, with pork, beans and sausages. The Galicians desserts are not far behind in terms of quality. One of the most famous is the Santiago cake, made with almonds, egg and sugar. Another typical sweets, especially in the northwest, are the melindres. During the Entroido -Galician Carnival- pancakes and fritters are also typical. To accompany each of the delicious dishes, there are five denominations of origin that recognize the high quality of Galician wines. The great appeal of Galicia for wine lovers, led to create routes for each of the denominations. Thus, there are the Route Rías Baixas, the Ribeiro’s, the Ribeira Sacra’s, the Monterrei’s and the Valdeorras’. Asturias also has gastronomic routes aimed at two of its most famous products: cider and Cabrales cheese. 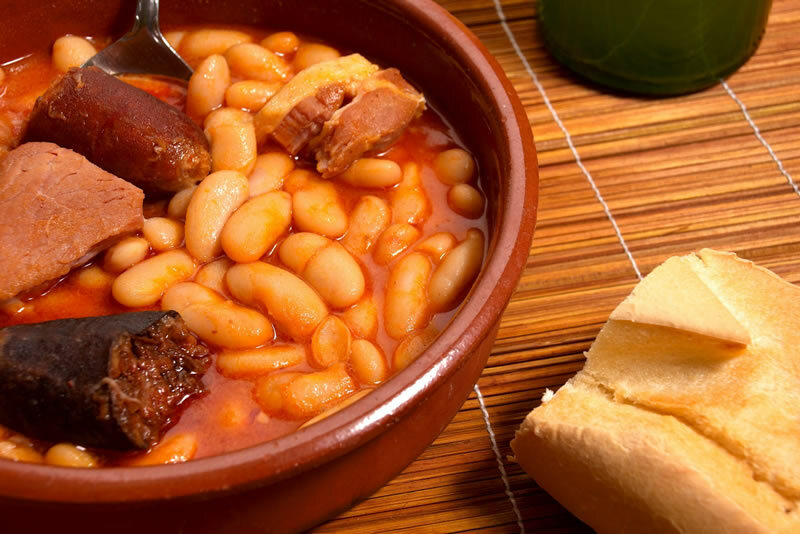 Along with them, the stew and the pot are other gastronomic badges Asturias. Anyone scroll lovely cider of the Principality you will see that pouring cider is now an art that is passed from generation to generation. 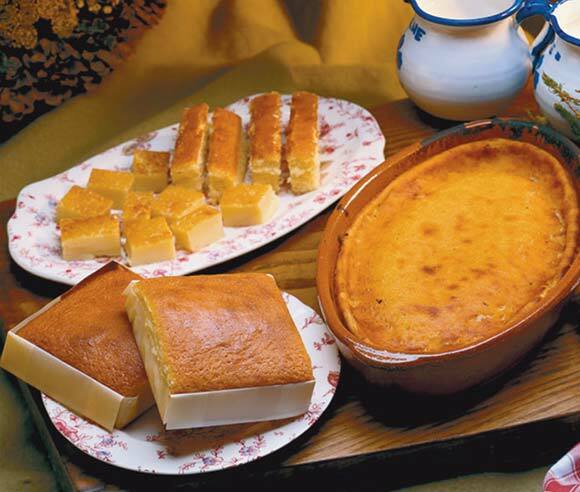 Although desserts are not the most significant element of the Asturian cuisine outside its borders, some of them have a great exclusivity, not only for its unique flavor but by the great difficulty to purchase elsewhere than Asturias. One of those exclusive desserts are the casadielles , small tubes of pastry filled with a mixture of nuts, hazelnuts, sugar and anise. Another of the most traditional sweets is carbayón, originating in Oviedo, and consists of a puff pastry stuffed with a paste of egg, ground almonds, cognac or sweet wine and sugar, and covered with syrup made from water , lemon juice, sugar and cinnamon. For wine lovers, Asturias has the Wine Road Quality of Cangas, which runs the main wineries in the town of Cangas del Narcea, with a winemaking tradition that dates back to the ninth century. The Cantabrian community has about 150 kilometers of coastline that offers great fishing gastronomy variety. 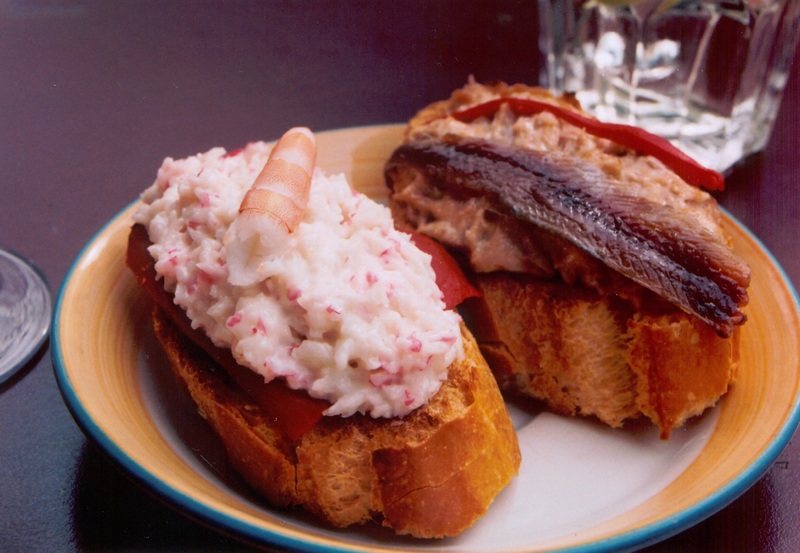 The cold waters of the Cantabrian Sea seafood supply high quality among which the famous Santoña anchovies, hake, monkfish, sea bass and shrimp. As for livestock, Cantabria has its breed of cows: the Tudanca cow. In this kind not only meat but also dairy products creamy texture are extracted. The most traditional dishes in this land are consistent mountain stew, made from white beans and cabbage accompanied by bacon and sausage; fried squid rings, and pasiegos desserts. Among the latter are the famous sobaos, made mainly of butter, eggs and flour, and the quesada, made with the same ingredients as the sobaos mixed with milk. The Cantabrian desserts, one of the highlights of our country, also include among its most typical products the Unquera ties, a cake shaped puff tie or bow tie. As for drinks, Cantabria, despite not having the wine ability of other communities such as Galicia, produces the wine ‘Tostadillo’, a sweet variety very characteristic of this land, and a big-name liquor such as brandy ‘Orujo de Potes’ traditionally produced in the region of Liébana. Foodies have surely heard of Martin Berasategui, Pedro Subijana or Juan Mari Arzak. And it is that Euskadi is the birthplace of many of the most acclaimed chefs in Spain, and not in vain is the community that gathers more Michelin stars. This land has a varied cuisine where tradition and product quality are key, leaving space also to culinary innovation. Among the most famous Basque ingredients are fish such as hake, cod or tuna, cooked in different ways and accompanied by delicious sauces; mutton and beef or vegetables such as beans of Tolosa, the cabbages and asparagus. But if what we talked about is of dishes, the first thing to mention is the famous pintxos, small snacks with a careful preparation you’ll find in any Basque tavern. In addition to the pintxos, another key recipe in the cuisine of Euskadi is the pil pil sauce, made with the mixture of olive oil and buttermilk fried accompanying both fish and cod as Part of the hake kokotxas obtained from the bottom of the head. As for sweets, curd is Basque dessert par excellence. Easy to prepare, this product makes clear the importance of this land in dairy production. With respect to Basque beverages, the most famous is the txacoli , a young and fruity wine that can be found in the varieties of white and pink. In Euskadi there are four denominations of origin for wines: Rioja Alavesa, Alava Txacoli, and Txacoli Bizcaia Txacoli of Getaria.